Conveying at steep inclines up to 90ᵒ. 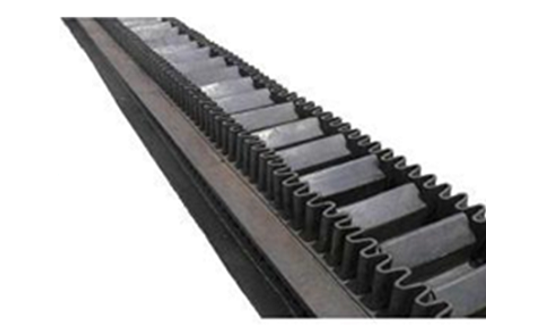 Pocket type belting with sidewalls and cleats for steep incline conveying up to 90 degrees. Top quality rubber sidewalls up to 400mm high and T, C and TC cleats up to 360mm, cross stabilized base belt gives maximum conveying performance. Chevron belts have integrally moulded cleats. Patterns are designed for package or bulk handling in confined areas requiring high-lift. 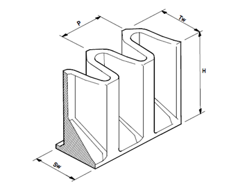 Type and height of cleats depends on the materials handled and angle of inclination. Special Classes, grades and profiles can be imported on request. Belt selection calculations available from our technical department.